A while ago, there was a fast-growing internet trend on waterproofing clothes and shoes. It consisted of using a typical house candle, that you would rub all over the fabric and then heat it up with a hairdryer. After it had set, then the job was done. This technique works beautifully with canvas and leather clothes, as well as shoes. While it might sound as bogus and just a childish idea, there is some good basis for this trend. It is based on the professional waxing done to clothes, bags and shoes, which gives them a high water resistance and in some cases, even makes them completely waterproof. That is what we will be looking into today: wax for clothes, specifically jackets. You will learn what kind of wax is used, a short journey through the history of it and of course, how to wax your own jackets at home. * Note: The availability of the products might change at any time. Please check the products’ features on the various shops before buying. We do our best to assure the accuracy of our articles, but sometimes they might contain errors. Also, we accept no responsibility for any damage caused by the improper use of this guide. To begin with a little bit of history, the first waxed material was cotton. Actually it was Egyptian cotton, circa 1850, using linseed oil. However, the use of oil to create a fabric resistant to water, began much earlier than that. 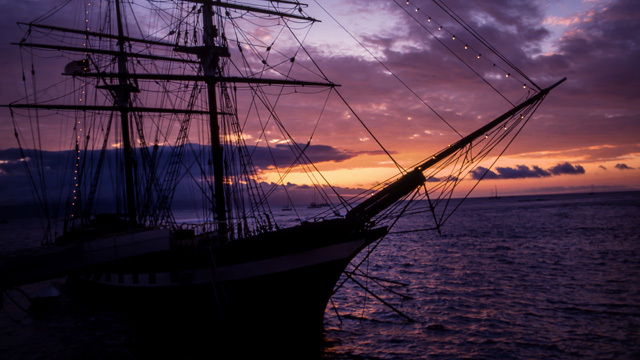 It was sailors who first came up with it, because they needed a way to have wet sails, but without the added weight of actually wetting the sails in water. After this, they started noticing that not only were these sails better, but when the remnants were used as capes, they provided great protection against water. It took almost 3 centuries, for then in 1920, three companies got together and came up with using paraffin to wax cotton. It later developed to using both paraffin and beeswax, either separate or combined, for better results. 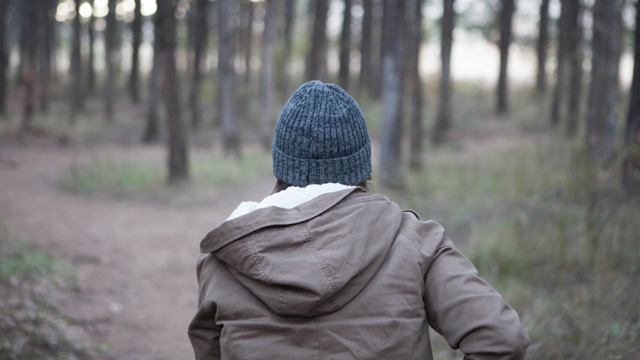 Today, there are a variety of waxes both online and in outdoor gear stores. They come in different blends and application methods. For example, you can find them as a bar of wax or in a can. What Is a Waxed Fabric? In short, a waxed fabric is one that has been impregnated with wax, in order to give it better weather-resistant qualities. When it comes to appearance and whether you can tell if a fabric has been waxed, there are a couple of things to learn. While it varies from brand to brand and of course, from the quality of the wax, there is indeed a sort of finish that the waxing leaves behind. Clothes typically get a bit darker and sometimes have the appearance as if they are wet, without being so, obviously. In some instances, there might even be an after scent, which can linger for a while. However, manufacturers today, have taken measures to prevent that from happening. What Happens When You Wax? First things first, you have to know what fabric your jacket is made of and whether it can actually be waxed. Waxing works best with canvas and leather, but you can, with a bit of trial and error, use it to waterproof almost any material and fabric. What wax does, is seep through the tiny pores of the fabric and then seals them shut. Typically, you would run two layers, especially if the fabric has never been waxed before and you are doing it at home. The first layer works as a pore sealer and the second one, coats the fabric to make it far more resistant to water. 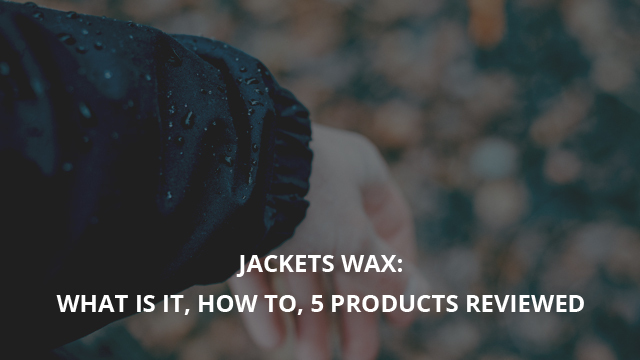 While this does sound like a pretty good idea (and it is, in most cases), before you run off to wax every jacket in sight, there are a couple of downsides to it. First, it is the change in appearance, as mentioned previously. This is not too big of an issue though, especially considering what you’re getting in return. 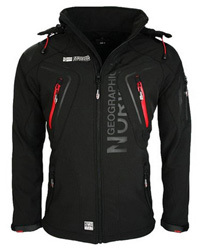 Secondly, and most importantly, is breathability. If your jacket is solely used for sports and activities that will have you sweating, then waxing is a no-go. Apart from sealing the pores shut to prevent water from getting through, breathability is also cut out of the picture completely. So you are better off with an already water-resistant jacket, or a waterproof membrane. Paraffin, as you already know, was the one used at first when actual waxing began. That’s where the candle idea comes from. While it is quite cheap and easy to find, paraffin does not actually do the best job at waxing. Not for jackets being waxed for the first time, at least. It is best used as a maintenance wax, to upkeep the previous (preferably professional) waxing. The wax that performs the best are those with natural sources, such as plant-based or beeswax. 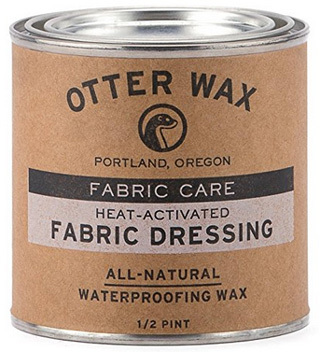 These are great for never-waxed jackets and excellent for maintenance. Another difference is also the environmental impact. Paraffin is a fossil fuel by-product, which not only is a non-renewable source, but has health risks, too. For this, you should always wax in ventilated areas and for superficial coating. If there is a chance that the wax will seep through, we would advise to look at the other options. 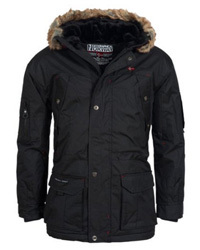 First and foremost, along with this written guide, below you will find two videos, one that is a general how-to for waxing jackets and the other specifically for cotton jackets. These are also helpful because they demonstrate using two methods: a bar of wax and melted wax. After everything is assembled and the jacket is clean and dry, it’s time to get started. If you are using a bar of wax, natural sunlight or doing the waxing in warmer weather, will work just fine. It is easier to work with and also gets into the fabric smoothly. For melted or potted wax, preheat it using the double boiler method. 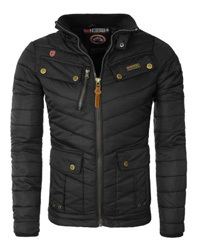 As for the jacket, point that hair dryer or iron at the area you will wax first, to help the wax get through easily. This is the key step. For bar users, just rub it across the fabric, using mild pressure. If the fabric is thicker and rougher, then apply pressure as necessary. When using melted wax, you can either use a brush or a piece of soft cloth. Do not pick up excess wax, let it drip into the pot and then run it over the fabric. Using the brush or cloth, rub it smoothly until it absorbed. Repeat this method until you notice that the fabric is not absorbing anymore wax. After the wax is applied, for better coating and to help it spread out evenly, rub the whole waxed surface with your fingers. Using the hair dryer or either method of heating, heat the fabric again. This will ensure that the wax will melt fully and get into every bit of the fabric. Afterwards, give it another rub with your hands, as a final touch. 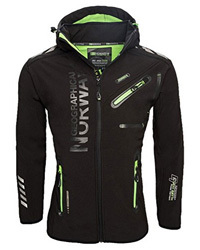 Now that you are done with the actual work, it is time to let both yourself and the jacket relax. Give it 24 hours, or better yet 48 hours, to completely dry and cure. When it is cured, then you can use the jacket right away. To clean, use cold water and gently wash it by hand, then let it hang dry. Avoid harsh detergents and especially dry cleaning as the heat and soap will leave the waxing patchy and uneven. Re-waxing at least once a year will maintain the water-resistance of your jacket, as well as help preserve the fabric for a long time. All is said and done, so let’s take a look at five products you should check out. These are highly rated online and quite reputable products that will make the job a lot easier and the finish quite professional-like. 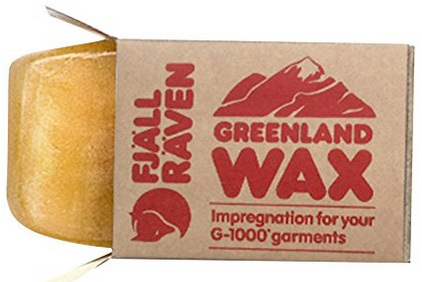 Fjällräven is not just a leading brand in outdoor gear and sports jackets, but they also manufacture waxing products. The one we have chosen is Greenland wax, in bar form, made of 65% paraffin and 35% beeswax. This is a product for both first-time waxing and re-waxing, but we would recommend it for re-waxing. 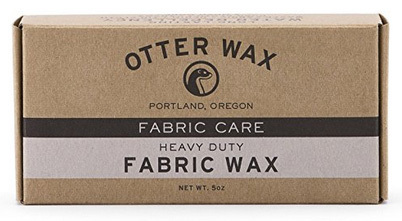 Otter Wax is by far the most renowned brand for waxing products and we have selected three different types of products. The first one is the canned melted wax. It is great for both experienced and first time users. This is a natural high-end product, made of 100% natural and environmentally-friendly sources. 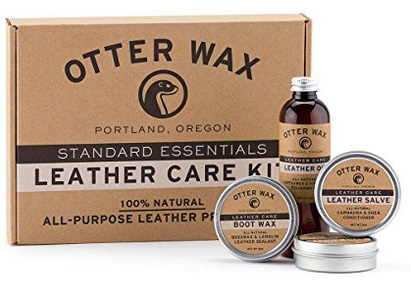 Next, this leather kit wax will bring out the best in your leather jacket and products. It comes with a soap and salve, leather oil for shine and wax for waterproofing. This product is made by hand and included is the flannel buffing, along with an applicator cloth. The ingredients are all-natural, such as beeswax, shea butter, carnauba and castile soap. For those who prefer bars of wax, we thought of you, too. This bar is for versatile use and you can coat a variety of fabrics and products, such as shoes, hats, bags, jackets and anything else you need to be water-resistant. 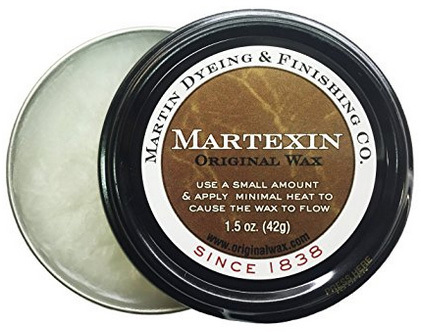 And the fifth product is by Martin Dyeing & Finishing Co.. This is their Martexin tin wax, a beautiful product which melts and spreads easily. Don’t be fooled by the size of it, as it will last for a long time and covers an area of roughly 2.5 ft x 2.5 ft. Waxing is a good skill to learn for everyone, but especially those that spend considerable time outdoors and live in damp areas. It is easy, straight forward and very productive. Stay safe, stay dry!